The tectonic shift in the default currency of global commerce is ongoing. 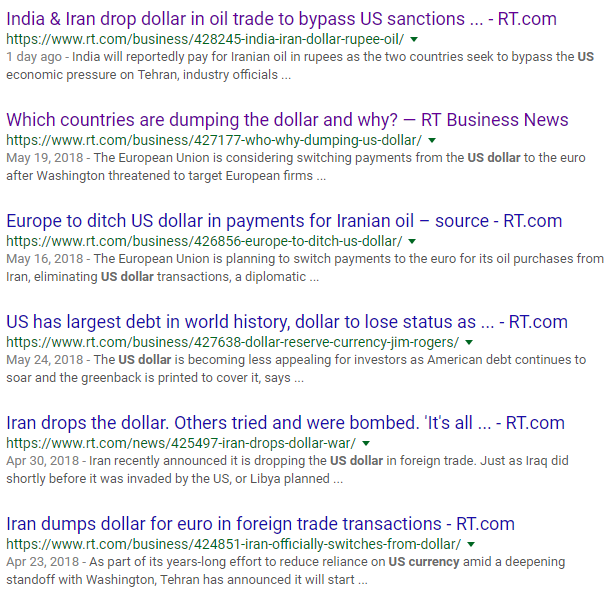 So much of world trade is so bound up in the exchange of US dollars that a definitive move away from this mechanism requires years or planning and steady execution. But those wheels are turning. Despite its heavy-handed approach, the thesis is real. Increased gold holdings and the petro-yuan are definitive, real steps that pose a clear exigent threat to the dollar’s long-enjoyed (and maybe not so well-deserved) unchallenged global reign. Every year, Ronald-Peter Stoeferle and Mark Valek at Incrementum AG, a Liechtenstein-based investment and asset-management company, put together an exhaustive report into the state of gold and gold-related markets. It’s known as In gold we trust. Incrementum sees a change in the global monetary order, what it calls “de-dollarisation”. Gold will see increasing demand as a substitute. 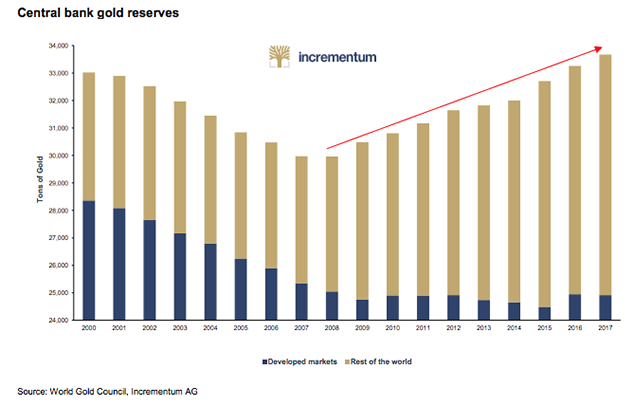 To back up this point, Incrementum presents a chart showing central bank gold reserves, which are clearly rising.